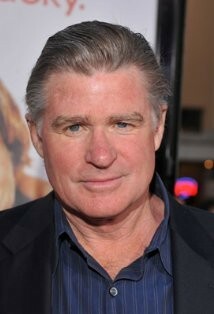 Treat Williams with give a reading at the Clark Art Institute. On Monday, March 11 at 7 pm, the Sterling and Francine Clark Art Institute welcomes friends from the Williamstown Theatre Festival as they present “Shorts in Winter,” a cozy winter evening of short stories read by Festival actors. Reservations are strongly recommended for this popular event; reserve tickets online at clarkart.edu or call 413 458 0524. There is a $10 suggested donation at the door. Treat Williams, a stage, film, and television actor who has appeared on several stages in the Berkshires, will read selections, along with several other prominent actors. Williams is most famous for his roles in the Broadway production of Grease and in the movie Hair. Past WTF winter readings have featured artists like Campbell Scott, Andrea Martin, John Douglas Thompson, and Debra Monk.